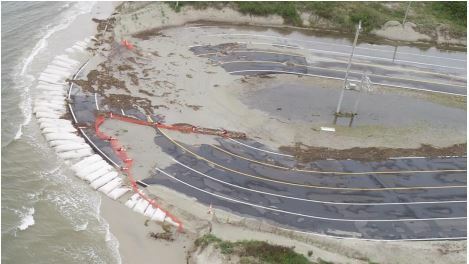 RALEIGH – In a presentation to legislators Wednesday on Hurricane Florence, Karen Collette, Division 3 engineer for the North Carolina Department of Transportation, said the lesson of what happened to U.S. 421 at the Pender-New Hanover County line was evident. 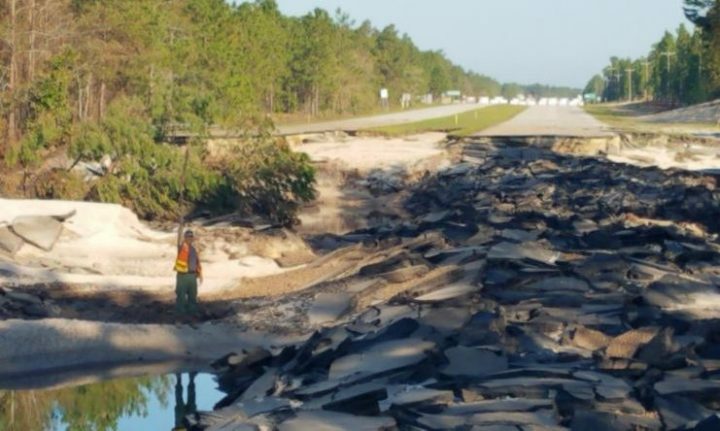 In the aftermath of the storm and the inundation of 4 miles of Interstate 40, U.S. 421 became a key route into Wilmington until a culvert failure and washout near the county line cut deep into the roadbed and left a wide gash that will take months to repair. The damage from Hurricane Florence is starting to get clearer and the major challenge for many communities in reopening schools and clearing out flooded areas is restoring the hundreds of road links still under water or in need of serious repair. “I will remind everyone the storm is not over until the last site is repaired, the last road is open and last housing debris is removed,” Transportation Secretary Jim Trogdon told members of the House Select Committee on Strategic Transportation Planning and Long Range Funding Solutions during its meeting Wednesday in Raleigh. Trogdon said dozens of major highways and hundreds of secondary roads were damaged in the storm. Most were in the coastal plain, but washouts from the storm extended as far west as Avery County. In all, there were 3,101 sites with damage. The worst, Trogdon said, was U.S. 421. Trogdon said contractors were on site and working to put up a temporary bridge over the break with an expected single lane to open in each direction. The plan for a permanent fix at the site is to put in two, 500-foot bridges carrying the northbound and southbound lanes. Trogdon said the timetable calls for finishing the work and reopening both lanes in each direction in seven to eight months. North Carolina’s transportation costs from Hurricane Florence are expected to reach $266 million, most of that reimbursable through the Federal Emergency Management Agency and the Federal Highway Administration. The state’s estimated share of the costs is $66.8 million, Trogdon said. There were some success stories from the storm, he said, including much better integration of drones and on-the-ground reporting to update the public on road closures and traffic conditions. Property repairs or replacement at the two state seaports are estimated at about $54 million. Both Wilmington and Morehead City ports had wind damage to roofs and storage areas and several dislodged containers. “In non-technical terms I can tell you that both ports took a wallop in this storm,” Paul Cozza, executive director of the North Carolina Ports Authority said Wednesday. Morehead City was not as heavily damaged as Wilmington, he said, but both will require extensive repairs to buildings. None of the cranes or berths were damaged, he said. The port channels continue to be reviewed and one major obstruction, a 7-foot-diameter rock, had to be removed from the shipping channel in Wilmington. The state Ferry Division fleet has resumed regular operation, but also incurred damage during the storm. 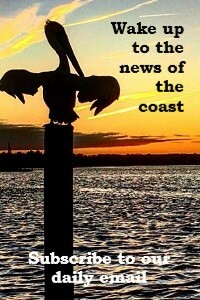 After evacuation operations, including moving 1,074 vehicles and 2,181 people off Ocracoke Island, most of the 21 state ferries were in safe mooring sites at the Swan Quarter dock and the state shipyard at Mann’s Harbor. Service was suspended for 18 days with a loss of $27,713 in revenue. Sterling Baker, director of facilities management for the Ferry Division, said the most damage from the storm was on the Bayview-Aurora route, where there was bulkhead damage and shoreline rip-rap erosion, and the Cherry Branch terminal, which had extensive bulkhead erosion and large washout areas. Major repairs there and roof work at the Cedar Island ferry terminal is expected to cost about $550,000, in addition to about $100,000 for other repairs. The state is also rebuilding the lineup loop for the Ocracoke to Hatteras ferry terminal at the northern end of Ocracoke Island. 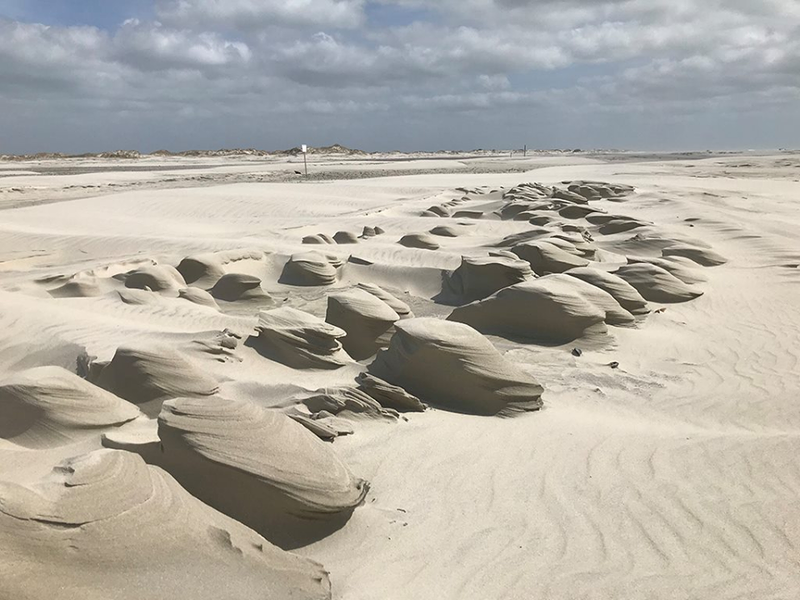 Erosion at Hatteras Inlet caused damage to the area last summer and a sandbag wall was added during the spring, but currents from the storm scattered the sandbags and damaged the pavement again. The look at the damage to the state’s transportation system is just one of many reviews started as the estimates roll in on the costs and consequences of what is likely to be the state’s most devastating storm. It took less than four hours on Tuesday for legislators to open a special session and pass the first round of recovery legislation, which is aimed at ensuring matching funds for federal aid and pay for school employees, as well as extending deadlines for voter registration and granting greater calendar flexibility to school systems in hard-hit areas. 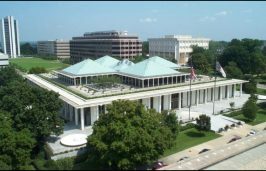 The North Carolina General Assembly is scheduled to return Oct. 15 to consider additional legislation after state agencies have had more time to prepare cost estimates. 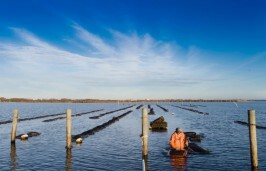 On Monday, Division of Coastal Management director Braxton Davis is scheduled to review storm impacts for the House Agriculture and Natural and Economic Resources Committee. The North Carolina Department of Environmental Quality and other departments are also compiling their costs and future budget needs. Gov. Roy Cooper is expected to present a comprehensive budget request for Florence response ahead of the mid-October session.